The city of Cusco in the middle of the Peruvian Andes bursts with Incan and colonial history and culture. It was once the Inca capital which is noticeable until today: Plenty of temples and colonial churches fill the city and attract millions of tourists every year. Cusco is the starting point for every Machu Picchu tour, but the town’s surroundings have quite something to offer as well. 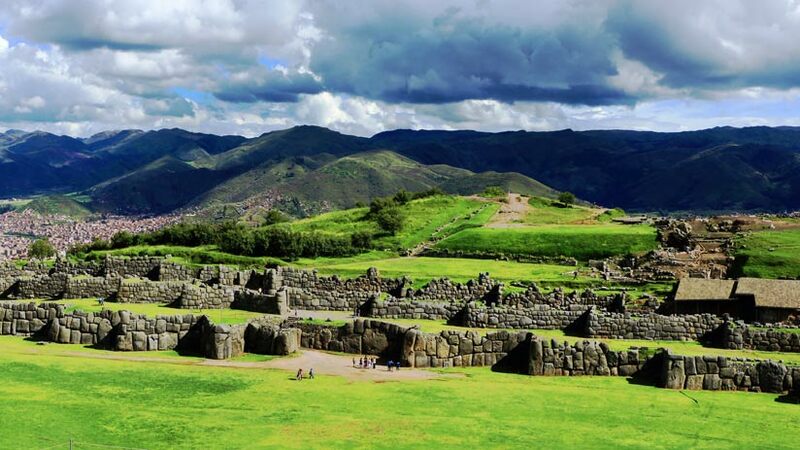 Especially the Inca fortress Sacsayhuaman, sitting enthroned up on a hill, is definitely a place you should visit. Sacsayhuaman, Q’enko, Puka Pukara, Tambomachay, Qorikancha Museum, Regional History Museum, Muesom of Present Art, Pachacutec Monument, Museum of Popular Art, Qosqo center of Native Art as well as the archeological sites of Tipón, Pikilacta, Ollantaytambo, Pisac, Chinchero and Moray. 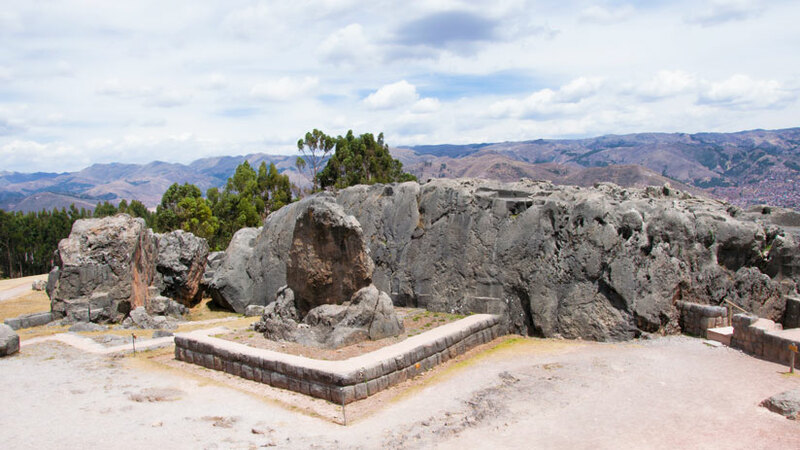 The four most popular sites around Cusco are Sacsayhuaman, Q’enko, Puka Pukara and Tambomachay that attract foreign as well as local visitors every day. 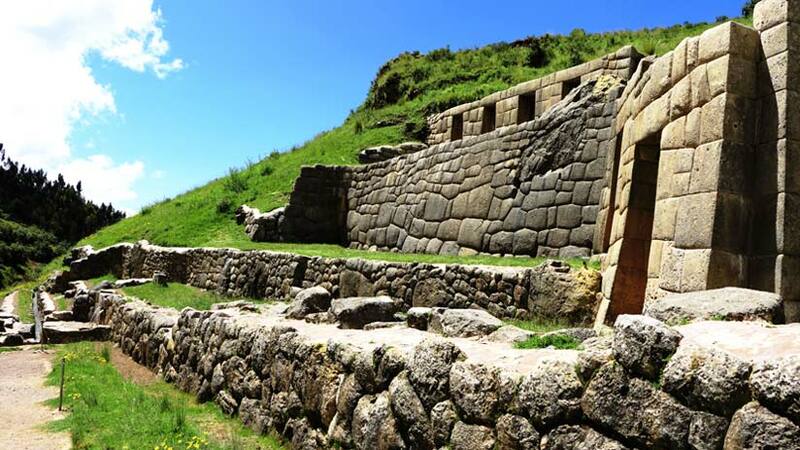 They can be reached either walking, by taxi or by bus, with the closest site Sacsayhuaman as a first destination. If you decide to walk, be aware that you have to go uphill and you will notice the altitude, especially if you are not properly acclimatized. On the other hand, it is a nice walk through the streets of Cusco getting to know the town better. From the main square it takes around 40 minutes to the entrance. If you prefer to go by bus, there are two different buses that will take you uphill: the Christo Blanco and Huerto. It is 0,80 Soles right now to take the bus. Taxis will also take you there, prices are usually around 10 Soles from the center. This archeological site is the most popular one around Cusco. Its name is in Quechua and meaning vary from “satisfied eagle” to “speckled eagle” to “speckled head” and more. 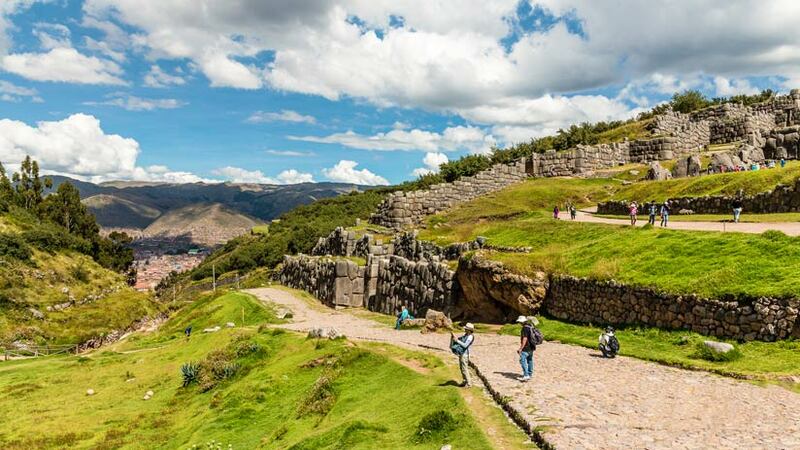 The Inca fortress overlooks Cusco city and impresses with its beauty and monumental scale. The stone walls are well maintained and along with llamas and alpacas grazing you can admire archways, ceremonial altars and a natural rock formation looking like a slide for kids, which is also used by visitors as such. Sacsayhuaman is another fine example for the unique Inca architecture, each stone fitting perfectly together with one another, the highest one almost 9 m high! The foundations are made out of Yucay limestone brought from more than 15 km away. According to chronicler Pedro Cieza de León, over 20,000 people were involved in construction. It is believed that the site was used as the military base of Inca Manco Capac during the fight with the Spanish. After first successfully defeating them, the Conquistadors broke the defense of Sacsayhuaman against all odds and could register a defeat over the Incas there. On the lower part of the Avenida El Sol near the local post office, not far from the main square, you can find a painted wall showing the fight of a brave Inca of one of the three towers of Sacsayhuaman. Unfortunately, foundations only of the towers remain today. Not far away from Sacsayhuaman lies Q’enko, the smallest of the four ruins but not less interesting. Looking at the giant rock you can find artful carvings showing steps, seats, geometric reliefs and even a puma design. On top zig-zag channels are carved in which supposedly served to course chicha, the local maiz beer. Inside the rock you can still feel the spiritual energy coming from the altar. It is believed that Puka Pukara was once a military fortress, but theories also assume that it may has served just as a guard post to control the people and goods coming in and out of the city. Its location offers a fascinating and beautiful panoramic view. From Puka Pukara you can easily walk to Tambomachay, also known as the “Baños del Inca”. Once there you will see a beautiful stonework with several niches and water still running through the ancient aquaducts. The peaceful site was probably used for ritual bathing. 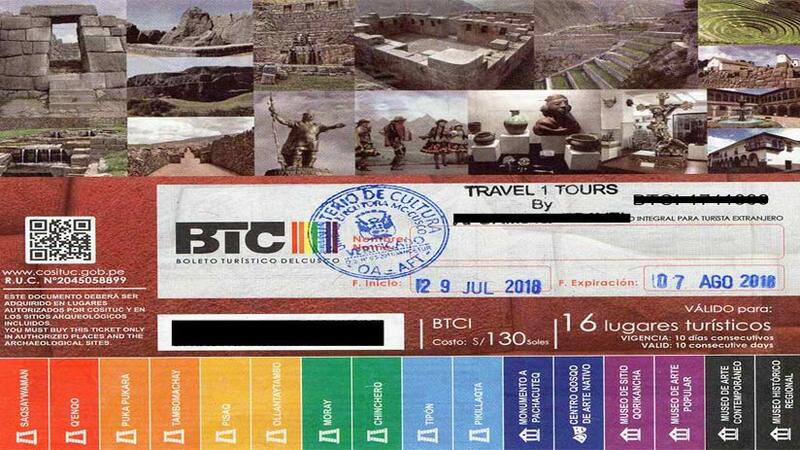 During your stay make sure to visit these Cusco archaeological sites as it is only half a day and one of the best things that you can do here. 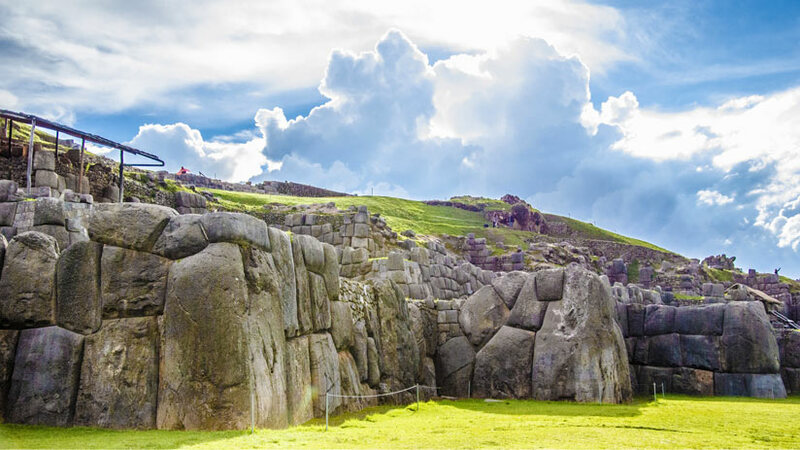 In case you have only a very short time left or are too tired, at least visit the incredible Sacsayhuaman ruins before you leave the vibrant city! Peru Activities, Travel To Peru culture, cusco, family vacations, history, sacred valley, travel to peru, visit peru. permalink.